(UPM, Helsinki, 14 March 2018 at 13:00 EET) - UPM is committed to creating value from sustainable bioinnovations. In addition to renewable diesel, the UPM Lappeenranta Biorefinery produces renewable naphtha - an excellent raw material for bioplastics. It can be transformed into renewable resins needed to create bioplastics, e.g. for the packaging industry. Choosing the right packaging solution can make a big difference. Beverage cartons have the lowest CO2 footprint among liquid food packaging today. Now even the plastic coating of cartons can be wood-based - using renewable polyethylene reduces the footprint further. 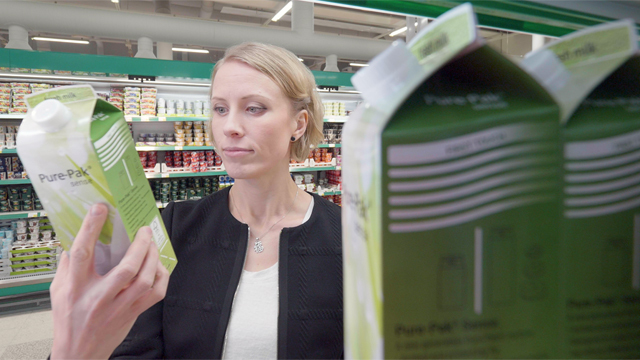 Elopak, Norway-based company supplying 15 billion cartons around the world each year, joined forces with UPM Biofuels and Dow to offer 100% renewable cartons that are both recyclable and responsibly sourced. "Every tonne of UPM's wood-based naphtha that Dow converts into bioplastics reduces one tonne of fossil raw materials used. The sustainability of the entire value chain is verified with ISCC PLUS certification," explains Sari Mannonen, Vice President, UPM Biofuels. Creating a 100% wood-based carton has been a great example of collaboration across the value chain to find sustainable solutions. "In Elopak we are constantly looking for ways to reduce the carbon footprint of our packages. Thanks to our partnership with Dow and UPM Biofuels, we can now substitute the fossil-based polyethylene with a 100% wood-based solution - and we are able make fully renewable cartons without compromising quality," says Kristian Hall, Director of Corporate Environment at Elopak. UPM Biofuels is one of the few renewable naphtha producers in the world. "We are very excited and proud of this collaboration and ability to offer a high quality wood-based raw material to replace fossil raw materials in packaging," concludes Mannonen. Elopak is an international supplier of paper based packaging solutions for liquid food. Based in Norway, and wholly owned by the Ferd Group (one of Norway's largest privately owned industrial groups) Elopak is continually developing its packaging expertise to match the changing demands for packaged food.